The Weed Department is responsible for weed control on all county properties located outside the corporate limits of any municipalities. The Weed Department maintains the appropriate weed control equipment and chemicals. The Supervisor also maintains records of weed and pest infestations, as well as control measures taken. 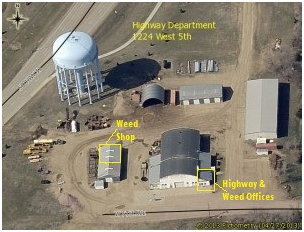 The Weed Supervisor obtains bids for appropriate chemicals and equipment for weed control. 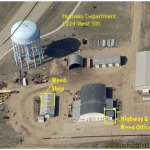 The Weed Department controls weeds on township and railroad property when such entities request it. The Weed Department also bills out all work done for other entities to the appropriate entity on a timely basis. 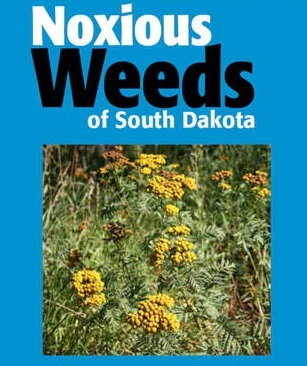 The Supervisor is responsible to take the appropriate measures to control nuisance weeds on private property in accordance with state statute. He is also responsible for the record keeping and appropriate billing. The Supervisor prepares publications and interviews for additional personnel for weed spraying during peak season. The Davison County Weed Department is once again joining with Hanson County to have our annual public relations meeting scheduled for March 28th, 2018 at Pizza Ranch in Mitchell. Registration will begin at 10:00 a.m. and a FREE noon meal to follow. Please call ahead of time to pre-register!